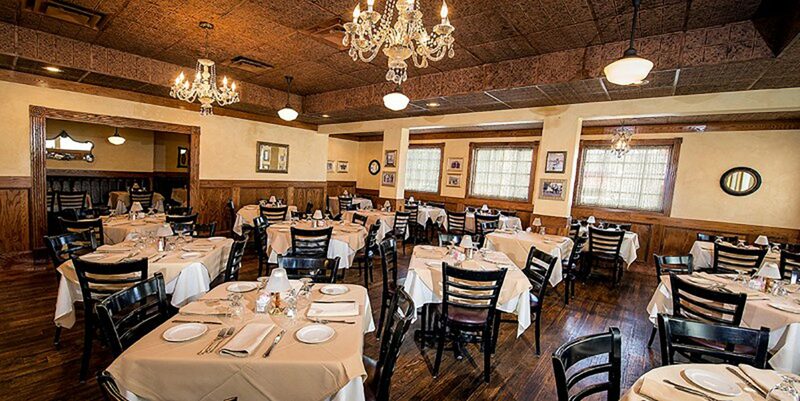 For the past 40 years, Fireside Chophouse has been synonymous with the finest cuts of aged steak, prime rib, and beef in Williamsburg, Virginia. Destination Prime Rib has been in the thoughts of more than one Williamsburg, Virginia visitor but the quality is known and savored by locals as well. Thick cuts of USDA choice steaks, fresh seafood, jumbo lump crab used to create exceptional crab cakes. Our menu also includes a range of chicken items, pork selections and seafood dishes. We also feature filet mignon, roast chicken, grilled pork and Angus beef topped with cheddar cheese and bacon. Our children’s menu includes cheeseburgers and fries, mac and cheese, fish, chicken and steak. Looking for something yummy to end your meal? Try one of our desserts from a wide selection ranging from cheesecake, cream cake, cream pie to carrot cake. Additionally, the restaurant serves a range of beers and wines, such as merlot, cabernet sauvignon, zinfandel and pinot noir. We make no qualms about our exceptional food, but please bring the whole family to savor this meal whether on your vacation or on your family’s Friday dinner!